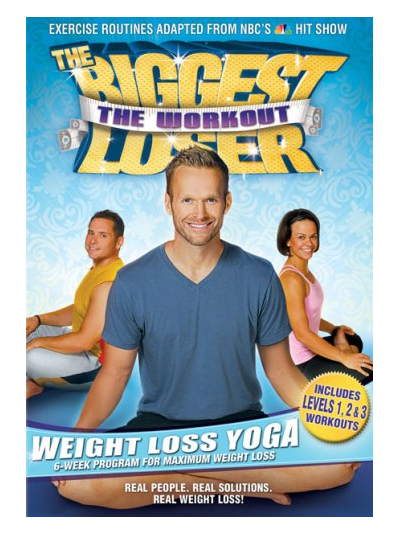 The Biggest Loser Weight Loss Yoga Just $6.96 + FREE Prime Shipping (Reg. $15)! You are here: Home / Great Deals / Amazon Deals / The Biggest Loser Weight Loss Yoga Just $6.96 + FREE Prime Shipping (Reg. $15)! Keep your New Year’s resolution with this HOT deal! Right now you can grab a copy of The Biggest Loser Weight Loss Yoga for just $6.96 (Reg. $15)! This DVD has almost a 5-star rating, and one reviewer said that beginner and skilled yoginis alike will find this challenging! I can’t wait to start!